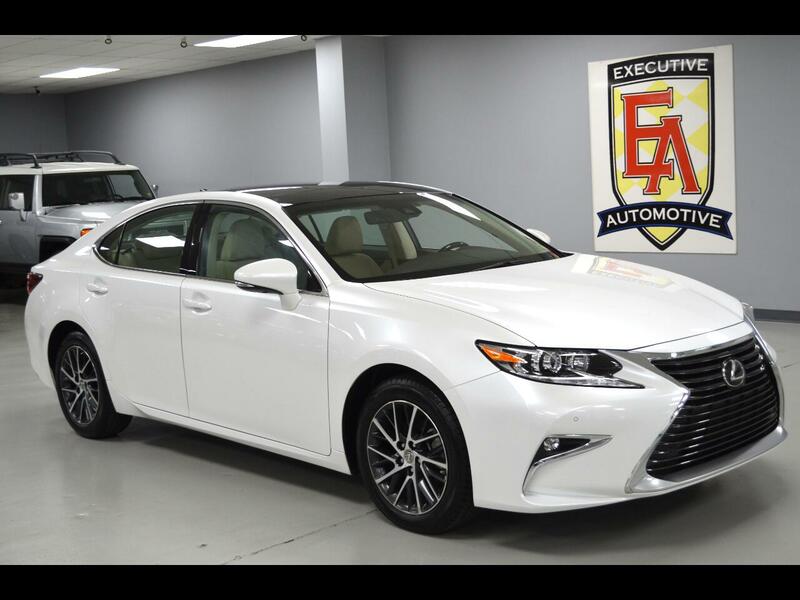 2017 Lexus ES350, Eminent White Pearl with Parchment Leather, Packages Include: Premium Package: Lexus Memory System for Drivers Seat, Outside Mirrors and Steering Wheel, Power Tilt/Telescopic Steering Wheel, Wood Interior Trim, Remote Keyless Entry-Linked Memory. Options Include: Navigation System, Adaptive Cruise Control, Lane Departure Warning, Back-Up Camera, Cross Traffic Alert, Blind-Spot Monitor, Intuitive Parking Assist, Heated/Cooled Front Seats, Heated Wood and Leather Trimmed Steering Wheel, 17" Split 10-Spoke Machined Finish Wheels, Bluetooth Connection, Smart Device Integration, HD Radio, USB/Aux Inputs, CD Player, MP3 Player, Steering Wheel Audio Controls, Power Tilt/Sliding Panoramic Moonroof, Keyless Entry, Push Button Start, Dual Climate Control, Driver/Passenger Adjustable Lumbar, Auto Dimming Rear View Mirror, Fog Lights, Turn Signal Mirrors, Universal Garage Door Opener, Power Windows, Power Locks, Power Mirrors, Power Seats (both), Power Liftgate and more! Contact Kyle Porter at 816-616-2500 or email: kyle@executiveautomotive.com for additional information. Thanks for your interest in our ES350! Visit Executive Automotive online at www.kcexecauto.com to see more pictures of this vehicle or call us at 816-524-6100 today to schedule your test drive. Message: Thought you might be interested in this 2017 Lexus ES 350.